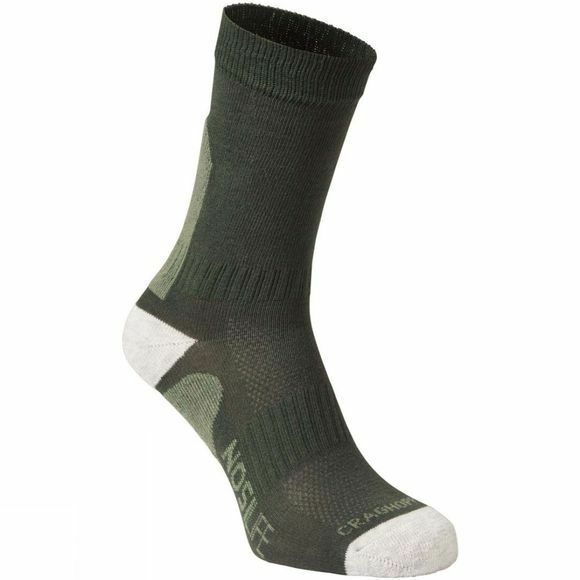 A breathable, ergonomically styled sock designed to deliver cushioned support to heel, sole, toe and calf as well as incorporating NosiLife insect repellence for permanent protection against bites. This easy-care Womens NosiLife Adventure Sock from Craghoppers is super-practical with mid-step support bands for comfort. A great sock for the year-round trail.